The first full length gameplay trailer for Der Eisendrache has just been released and keeping with tradition Treyarch kept it under wraps until a week before release. Like all Treyarch videos there's a tonne of information hidden in the zombies trailer and I'll be dissecting the footage looking for new clues and secrets. 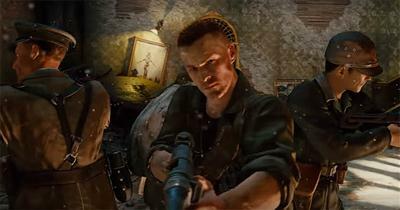 As seen on the XBox and PS Stores, the DLC synopsis clearly confirmed that the four characters from Origins would be involved in the new map and this new gameplay trailer bolsters this fact with long sequences of the four comrades in action - it sure feels good to have the original characters for the first DLC map! Translated as The Iron Dragon, the new zombies map takes on a dark tone; set in a medieval castle with 20th century war elements encompassing the area. It's easy to spot the anti-air guns, german banners and outposts which are contained within the playable areas. The immense Gravity Spikes weapon makes an appearance in zombies for the first time and it’s surely got to be a Wonder Weapon. Simply smashing the ground with the spikes equipped causes all nearby zombies to be flung skywards, opening the way nicely for an escape or train expulsion. Players who are familiar with the Thundergun from Ascension and Kino will know the power of this type of weapon and it’s importance in high round survival. The random perk machine returns from Origins, offering players the chance to gamble points in the hope of acquiring a wanted perk for a reduced price. I think the Origins cost was about 1500 points, far less than the most expensive perks of Stamin Up etc. The downside if that you never know which perk you’re going to get, hence the randomness. The Wunderfizz usually has to be charged and in the case of Origins, the player had to activate the power generator and hope that the Fizz was actually active in that location. Otherwise it was a case of waiting for the next generator location and hoping the Wunderfizz was up and running there instead. 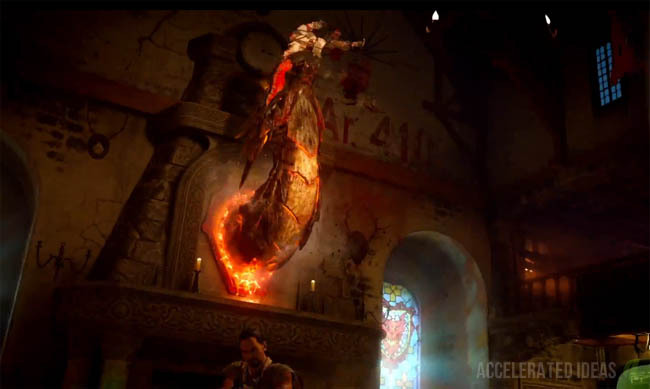 Looks like the boss zombie from Origins is back in Der Eisendrache. 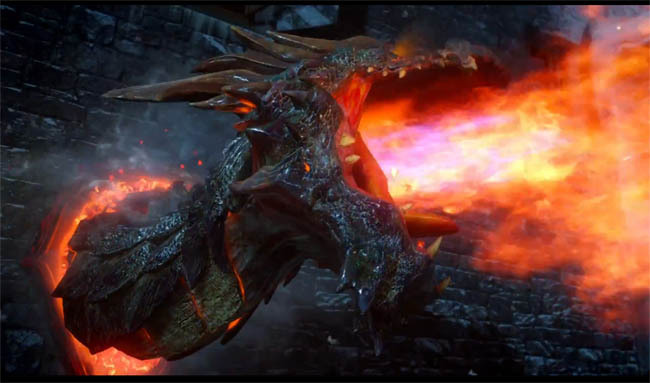 This boss appeared roughly every 5-10 rounds in Origins and his claw like attack drawed players within range before flaming their heads off. Thankfully, unlike other annoying boss zombies this guy was relatively easy to kill and more enjoyable than say George from Call of the Dead. Sneakily placed inside the research lab, the gramophone makes a return from Black Ops 2 Origins. For those who played Origins, you'll know the importance of this musical item, both for unlocking the Elemental Staff Wonder Weapons but also for progressing the overall Easter Egg. Seen recently in The Giant DLC but originally making their debut in Der Riese, teleporters are exactly what you’d expect. Once the power has been activated, players step into the teleporter to move instantly from one teleporter to another. Although they had a limited role in Der Riese, it was in Kino that the teleporter granted players access to a secret room in the theatre. 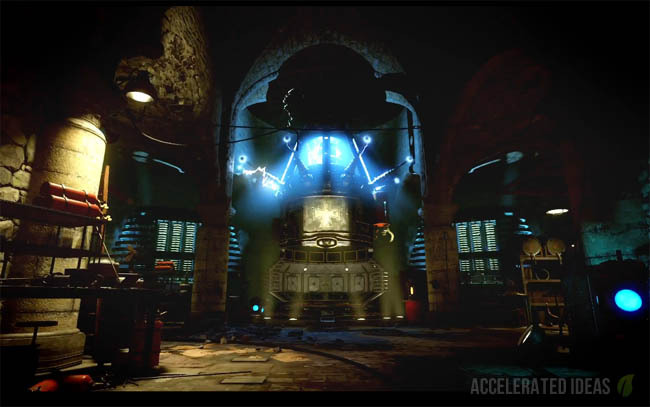 Will these teleporters in DLC 1 behave in a similar way? These wall mounted dragons look similar to their canine counterparts from Mob of the Dead, with the big exception that they breath fire!! If history is anything to go by we can expect these traps to offer some kind of reward for patiently killing enough zombies in the vicinity/ Remember the awesome Hell’s Retriever? Possibly a site for the V2 rocket, this massive rocket takes up permanent residence on the map and there’s no doubt that it’s involved in the Easter Egg somehow. 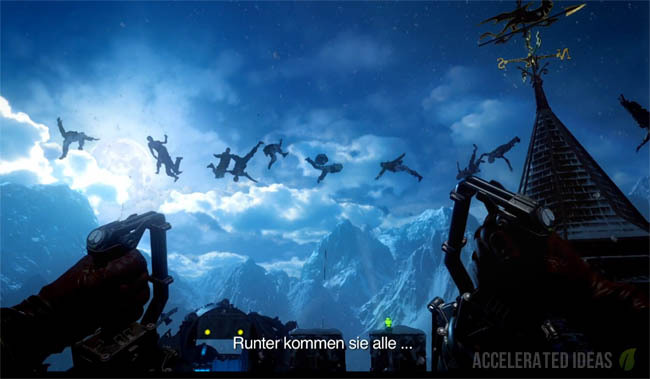 From the trailer we can see that the rocket can be launched, much like the rocket from Ascension. Back in Black Ops 1, moving the rocket revealed the control room where the Pack a Punch was located. My guess is that the Pack a Punch will be accessible in a similar way in Der Eisendrache. A possible Wonder Weapon, the Explosive Bow is a familiar weapon from the multiplayer side but a newcomer to the zombies experience. 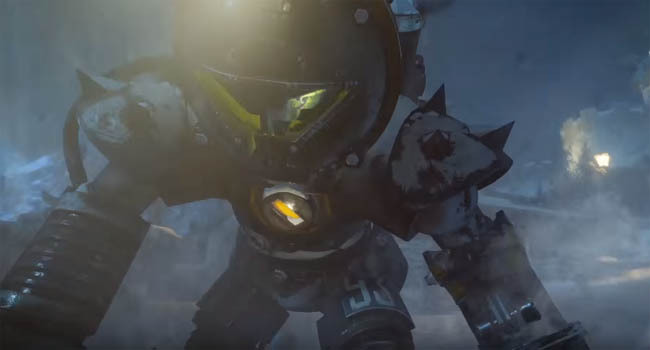 In the trailer, the weapon causes massive damage with instant death guaranteed against groups of zombies. Whether this weapon causes self inflicted problems from it’s blast radius we’ll just have to wait and see.